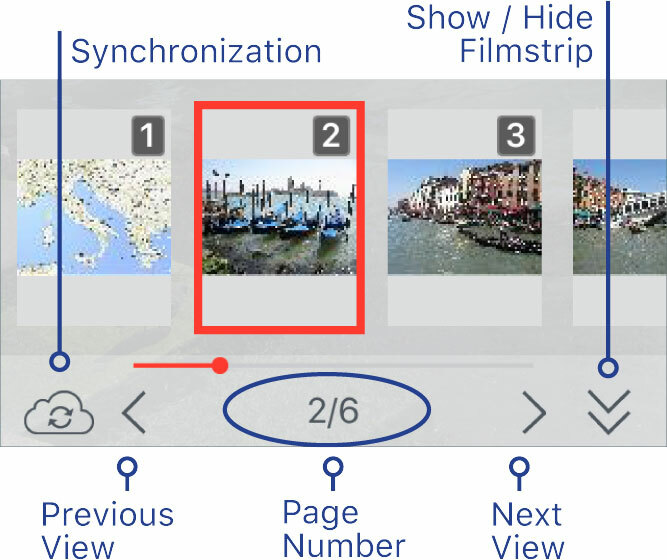 Tap to synchronize the position of the current page between different devices (via iCloud). In the pop-up window, select the page to go to. Tap to go to the Previous View or Next View. 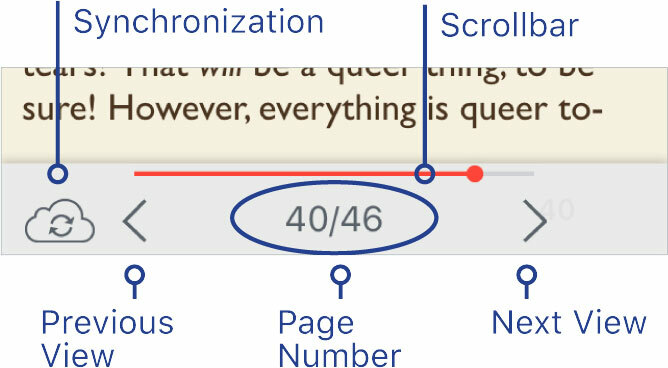 Tap and enter a Page Number to jump to the desired page. Tap to show / hide the Filmstrip. Scroll horizontally on the Filmstrip to jump to the desired page.